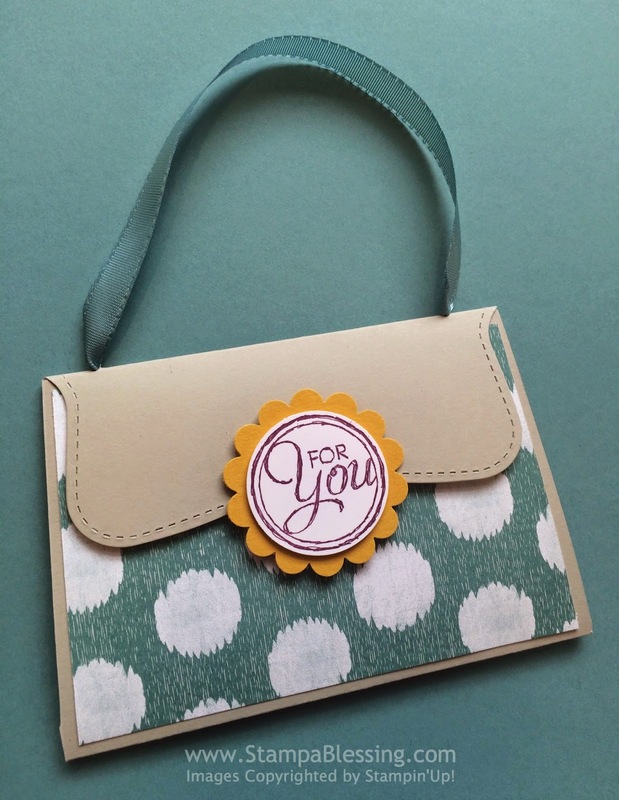 Tomorrow at 3PM join me at Milton Public Library to create these cute Gift card holders. 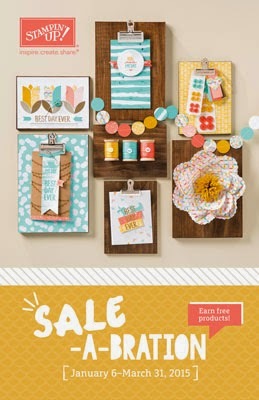 I love to share with crafters and non crafters alike! It is a time of refreshing and fun. The For You stamp set comes from Chalk Talk…always a classic! 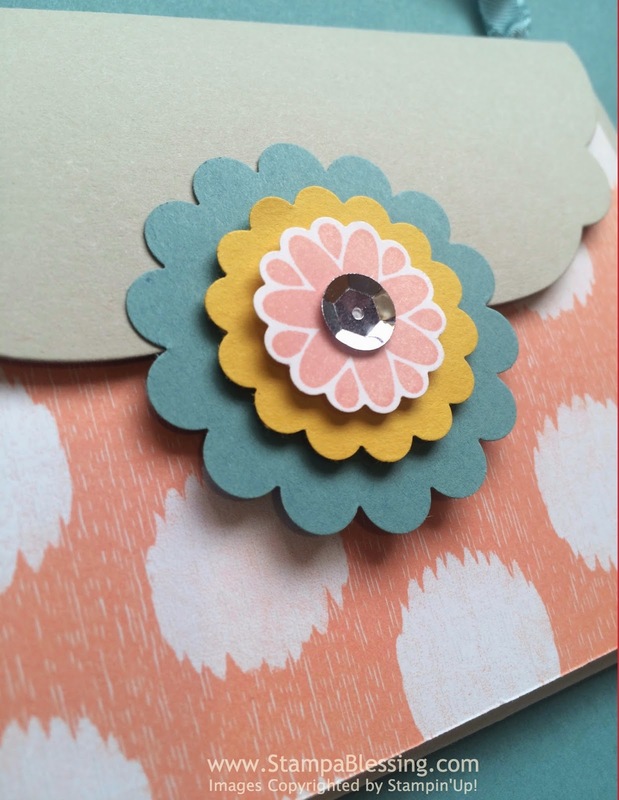 Flower in the center is from the Petal Potpourri stamp set. 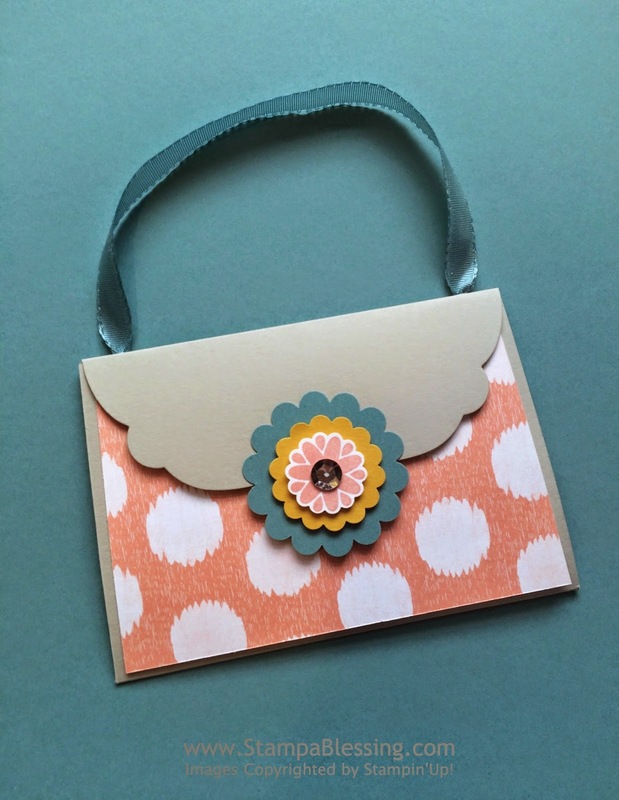 I thought I could share a simple card I made with one of the Sale-A-bration FREE stamp sets. Best Day Ever….the paper is also FREE when you purchase $50 in products. Don't you love the background. Feels like that Bokeh technique photographers use. I used those to form flowers with a stem on the main image. Check them out! The beautiful ribbon is part of SAB free products too. 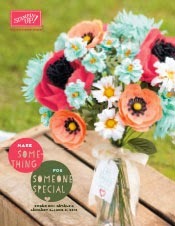 WHAT IS YOUR FAVORITE PRODUCT in the Occasions Catalog? What a wonderful time to enter the hobby of stamping…I joined Stampin"Up!during a SAB (without even knowing!) and it's been now almost 5 years. 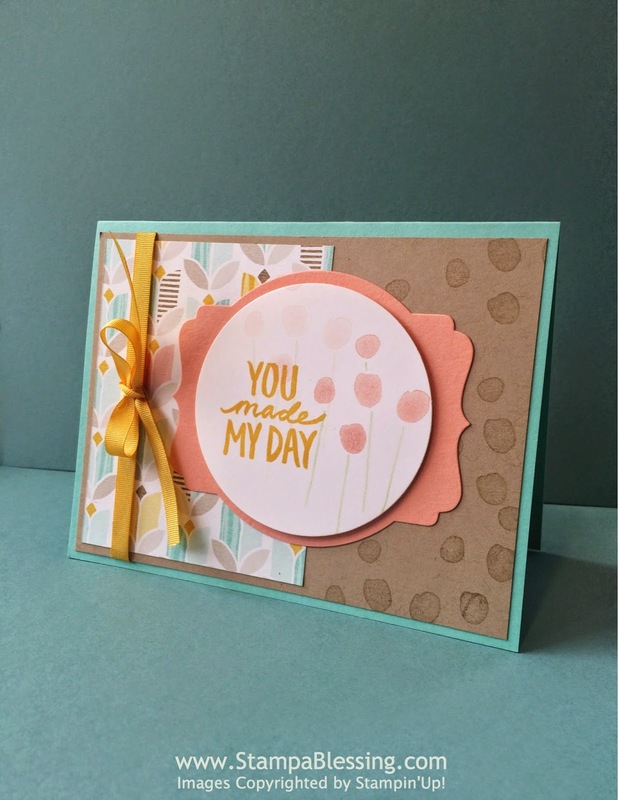 What a blessing Stampin'UP! has been in my life. 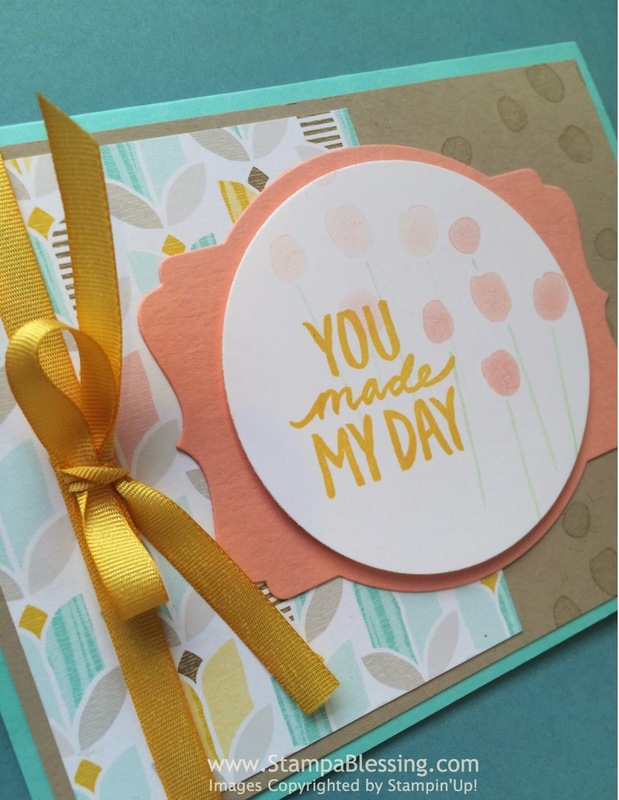 This weekend was packed fun for me…I had a Friday crop at the library, Saturday Annual Breakfast and SAB kick off with my sweet stamping friends and Sunday Blessed Stampers meeting. As soon I can I will be showing you the cute things we created together. Love creating together! Click image to see pdf catalog! Click image to see brochure! Check the new catalogs and get inspired with so many beautiful ideas inside.